Many Doctor Who fans love to collect things whether it's old episodes, books, scripts, replica costumes or used underwear; they'll collect it to the very end. Andy Cable used to have a website which drew well over two million hits in just a week and his love for Doctor Who couldn't have been stronger, but when his collection was cruelly taken away he bounced back and started a new collection. 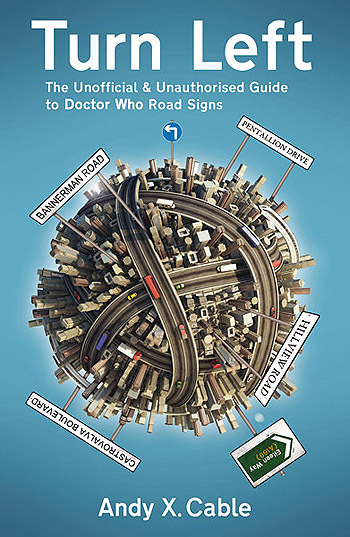 Armed only with his little black book and a small blue pen he'd got from Argos he began listing and cataloguing Doctor Who related road signs and now his collection, which he's spent very nearly seven months working on, is presented here in what he hopes will be the first of several volumes. His passion will become your passion in this genuine and thrilling fanatical page-turner.